Many end user don't know how to start OpenERP server from the terminal. Desktop launcher is the best way to start the OpenERP server for the non technical end user. Start up service is another way to start the OpenERP server automatically. for that you need to install gnome panel. 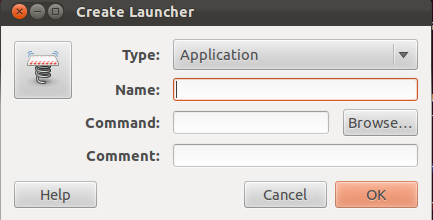 Install gnome-panel by running below command in ubuntu terminaAl. Make a bash script which will run the OpenERP server. To make bash script create new file and write script as below. Add Launcher name as you wish. in the command give the path of the bash file(make sure the file is executable). and click ok. it will create a icon on the desktop.